حاصل على شهادة البكالوريوس من الجامعة التقنية الوسطى- كلية التقنيات الطبية والصحية- قسم تكنلوجيا الاشعة السينية في اختصاص تقنيات الاشعة التشخيصية (2001)، وعلى شهادة الماجستير من الجامعة المستنصرية- كلية الطب- فرع الفسلجة والفيزياء الطبية (2005) في اختصاص فيزياء الطبية وعلى شهادة الدكتوراه من جامعة سالفورد- مدرسة العلوم الصحية-قسم التصوير الطبي ( المملكة المتحدة-مانجستر-2015). عمل تتدريسي في جامعة الكوفة منذ عام2005 ولحد الان. الاهتمامات البحثية 1. الموازنة المثلى بين الجرعة الاشعاعية وجودة الصورة في التصوير الطبي. 2. طرق قياس جودة الصورة الشعاعية الطبية. 3. ضمان جودة التصوير الطبي باستخدام الاشعة السينية. 4. اجراء البحوث النظرية والعملية في حقل الوقاية من الاشعاع الطبي والنووي. 5. دراسة تاثير الاشعاع على الجسم. 6. بناء ودراسة صلاحية الانظمة الخاصة بتقييم جودة الصورة الطبية الالكترونية. الاهتمامات التدريسة : 1. فيزياء طبية. 2. فيزياء الاشعة الطبية . 3. فيزياء اشعاعية . 4. فيزياء الطب النووي. 5. قياس الجرعة الاشعاعية . 6. الفيزياء الحياتية الجوائز: 1) زميل المركز الدولي للفيزياء النظرية (2012) المشاركات العامية: 1. تجمع في الفيزياء الطبية-2010 -مركز عبد السلام الدولي- ـتريستا-ايطاليا. 2.تجمع في الفيزياء الطبية -2016 -مركز عبد السلام الدولي- ـتريستا-ايطاليا. Research Interests: 1. Optimizing of radiation dose and image quality in diagnostic radiography/radiology using CR and DR. 2. Medical Image Quality assessment methods. 3. Quality Control/Assurance in diagnostic radiology. 4. Conducting theoretical and practical research in radiation protection fielded (health physics and diagnostic X-ray/Imaging). 5. Biological effects of radiation on human tissues/organs. 6. Developing and validating psychophysical systems to assess the image quality of diagnostic digital images. Teaching Interests: 1. Medical Physics. 2. Radiological physics. 3. Radiation physics. 4. Nuclear medicine. 5. Radiation dosimetery. 6. Biophysics. Awards: 1) Junior associate at the The Abdus Salam International Centre for Theoretical Physics (2012). Publications: 1. H. Mraity; A. England; I. Akhtar; A. Aslam; R. De Lange; H. Momoniat; S. Nicoulaz ; A. Ribeiro; S. Mazhir; P. Hogg, "Development and validation of a psychometric scale for assessing PA chest image quality: A pilot study", Radiography, 20 (2014) 312-317 2. Hussien A A B Mraity; Andrew England; Simon Cassidy; Peter Eeachus; Alexander Dominguez and Peter Hogg, "Development and validation of a visual grading scale for assessing image quality of AP pelvis radiographic images", British Journal of Radiology, 2016; 89: 20150430. 3 . H. Mraity ; A. England; P. Hogg, "Developing and validating a psychometric scale for image quality assessment", Radiography, 20 (2014) 306-311. 4. H. Mraity, A. England, P. Hogg. Gonad dose in AP pelvis radiography: impact of anode heel orientation. Accepted for publication in Radiography journal- Sciencedirect(2016). 5. Sana K, H. Mraity, A. England, P. Hogg. Lateral hip x-ray imaging – which technique produces lowest gonad dose combined with acceptable visual image quality?. Accepted for UKRC as poster last at July, 2013, Liverpool, UK. 6. Hussien Abid Ali Mraity, "Estimation of surface dose (skin absorbed dose) for the patient undergoing standards radiologic examinations", Journal of Kerbala University, 6 (2008) 260-259 7. Hussien Abid Ali Mraity, "Calculation of skin absorbed dose for the staff and students from external gamma ray source in nuclear physics lab. 13 (2008) 116-125. 8. Hussien Abid Ali Mraity, "Study the effect of total filtration (filter thickness)of the x-ray tube on the surface dose for the patients undergoing standard radiologic procedures", Journal of Babylon University, 15 (2008) 580-584. 9. Hussien Abid Ali Mraity; Raed Mohammedkadhim; Abrar Mohammed Khuder, "Mathematical Calculation of Patient's Fluoroscopic Entrance Dose in Extracorporeal Shock Wave Lithotripsy", Journal of Kerbala University, 6 (2008) 117-127. 10. Hussien Abid Ali Mraity, Raed Moahammedkadhim, "Estimation of entrance skin exposure for patients undergoing fluoroscopic examination in extracorporeal shockwave lithotripsy(ESWL)", Journal of Kerbala University, 6 (2008) 173-176. 11. Hussien Abid Ali Mraity, "Estimation of patients effective dose while they are exposed for long time fluoroscopic examination in extra corporal shockwave lithotripsy(ESWL", Journal of Babylon University, 17 (2009) 565-568. 12. Hussien Abid Ali Mraity, Talib Abdularidha, Raed M, "Mathematical calculation of effective dose From gamma ray sources in nuclear physics lab. ", Journal of AL-Qadisiya/Pure scienceUniversity, 14 (2009) 126-132. 13.Hussien Abid Ali Mraity, Muthana Hassan Hady, Raad Jaleel Ahmed, "Estimation of entrance skin exposure for pediatrics undergoing routine X-ray examination", Journal of Kerbala University, 7 (2009) 62-67. 14.Hussien Abid Ali Mraity, "Estimation of patients radiation dose undergoing conventional X-ray examination in Al-Hakeem general hospital(X-ray room(1))", Journal of Kufa -Physics- A special issue for Kufas first conference for physics, - (2010) 335-440. 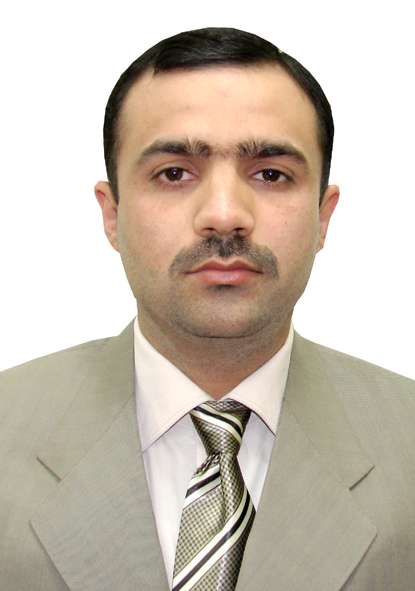 15.Hussien Abid Ali Mraity, "Mathematical assessment of entrance surface dose(ESD) for patients examined by long term X-ray examination (fluoroscopy). ", Journal of Kufa -Physics, 2 (2010) 2077-5830. 16.Hussien Abid Ali Mraity, "Mathematical calculation of skin and soft- tissues radiation absorbed dose from Na22 ,Ba133 and Cd109 radiation source for persons working in nuclear research room", Journal of Kerbala University, 8 (2010) 10-17. 18.Ali Abid Abojassim, Suha H. Kadhim, Hussien Abid Ali Mraity, Rua R. Munim. Radon levels in different types of drinking bottled water and carbonated drinks in Iraqi markets علوم - Water Science & Technology: Water Supply - 2017 Book Chapters 1. Observer studies in mammography; P Hogg, S Millington, D Manning, and H Mraity- Book chapter in ‘digital mammography : A holistic approach’; P Hogg, J Kelly, C Merver, (2015). 2. Visual image quality assessment methods; Hussien Abid Ali Mraity and Maily Alrowily- Book chapter in ‘Mult icultural team-based research in radiogra phy , a holistic educational approach. Groningen, the Netherlands Edited by: Peter Hogg, Chr istine Blakeley and Car st Buissink (2016).